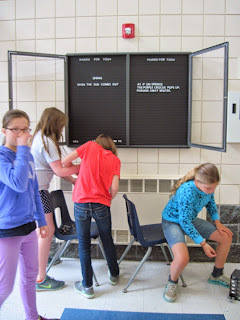 In our quest to honor spring and luddite ways, the fifth grade group has commandeered the old announcements board (thank you, Mr. Brann). Wedged in between Great American extensions and so much more, we find time for haiku. Daffodils bloom!